Just as we prepare to move our family to our first real home, our newest member falls ill. We were able to get him care quickly, but that meant a mid-night trip to the emergency vet where we learned Sisko had developed a UT blockage, something that could have posed a significant risk to his little kitty life. 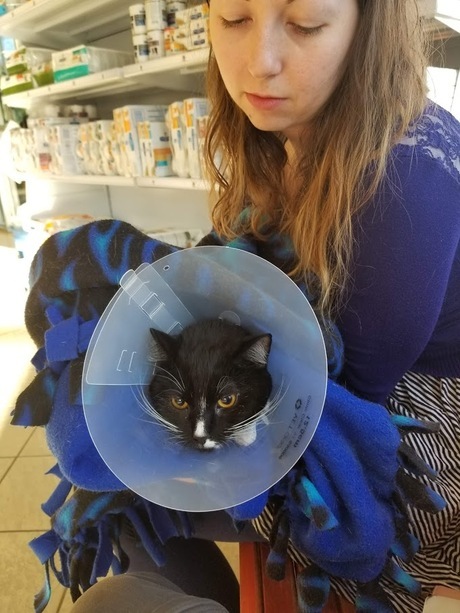 Luckily he received excellent care, and we will soon have him home again. This did not come without cost, and while we were fortunate to have the funds up front, this has put a great deal of stress on our budget for our first few months in our new house. We would so greatly appreciate any donations and hope you will pass this along even if you don't wish to help financially. Sisko is home and safe. The cone of shame has since been removed. Meredith Minogue47 weeks ago Best wishes to your baby and the whole family. Much love and healing. Terence M Strait Jr47 weeks ago Best wishes.